A film about the tumultuous life of legendary American musician Jimi Hendrix regains production status after a lengthy court battle. UltraTrust.com takes a closer look. Getting approval from the Hendrix estate is an important step towards ensuring success of the film. We are not surprised it came down to a court battle. We see this often in cases of intestacy. A new Jimi Hendrix film featuring actor Anthony Mackie as the legendary musician and directed by Ol Parker is back on track after tumultuous litigation forced the project to be put on hiatus (1). This biographical movie is just one of a handful of film works that have run into problems with the Hendrix estate, which has seen major court action in the last few years. One such ongoing court battle is Experience Hendrix LLC v. The Last Experience Inc. et al., case number BC460695, in the Superior Court of California, County of Los Angeles. In the history of rock and roll music, the late Jimi Hendrix is often cited as the greatest guitar performer and one of the most influential musicians of all time. Hendrix was musically active for less than 10 years, but he managed to build an amazing legacy that would lead to his induction in the Rock and Roll Hall of Fame. He sadly passed away under tragic circumstances in London at the age of 27 (2). Hendrix did not leave a will. Fans of Hendrix and his amazing body of work will have a few chances to see his legacy on screen this year. The aforementioned, Parker-directed film is titled “Jimi,” but there’s also Blue Wild Angel, a specially engineered Blu-Ray Disc that features Hendrix performing live at the Isle of Wight in 1970, less than a month before he passed (3). Later this year, the film All Is By My Side starring Andre 3000 from the band Outkast will hit theaters; alas, this is a movie that will not feature any music written by Hendrix because his estate did not approve of such use (1). Unlike All Is By Side, the film Jimi was able to obtain permission from the Hendrix estate to feature his music (1), but the important inclusion of his music required some legal wrangling (4). 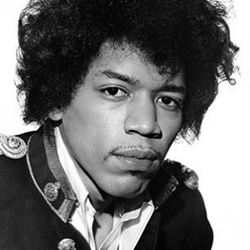 In the end, the Hendrix estate will have control over production of the film. “Getting approval from the Hendrix estate is an important step towards ensuring success of the film. We are not surprised it came down to a court battle. We see this often in cases of intestacy,” explains Rocco Beatrice of UltraTrust.com; he is the managing director of Estate Street Partners, an estate planning firm that specializes in wealth management and asset protection. Intestacy is a legal practice that consists on the statutory disposition of an individual's property who passed without leaving instructions on how to handle his or her affairs. Exactly how much of an intestate decedent's assets will be distributed among surviving relatives, creditors and tax collectors is a decision made by probate divisions of state courts (5). This decision is driven by state legislation, and it is rarely commensurate with what the dearly departed may have hoped for.